In 2016, we were finally able to become an Authorized Service Center for MinnKota. We can now service any MinnKota product you have. We have already built our stock of the most common parts you need for repairs. Often working through the night to have a customer’s boat ready for a Fishing Tournament by daylight the next morning, I would have time on my hands (while a layer of fiberglass cured) to experiment with other ways to repair and laminate fiberglass into a stronger product. One splendid and incredible night it all came together and the base product for the “Gorilla Hull” was born. For those of you whom may not know what that is I will proudly explain. It is a fiberglass coating applied to the existing bottom of a boat making the bottom impervious to impact damage. In other words, bullet proof,REALLY, it is bullet proof with testing completed at 40 Caliber. We are now able to guarantee the bottom of a customer’s boat for the life of the hull regardless of future owners or operators.The “Gorilla Hull” opened a whole new opportunity for the future of our company. 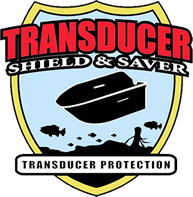 When you get tired of replacing your expensive transducer come by and purchase a Transducer Shield and Saver. If you have a jackplate, there's a L-Bracket for that. We typically only carry the mounts for Humminbird, but if you call us we can order anything they make! We have a large stock of the new Helix G2N units. Broke your transducer? We probably have it in stock. Need an Ethernet cable? Bet we have it! Come by for all your Humminbird depth finder and accessory needs. Whether you are installing it yourself or having us install your new unit, chances are you are going to want a Ram mount. We keep a large stock on hand at all times. If we don't have the one you need, we can typically have it by the next day! We have tubes, life jackets, tie downs, Lucas Speed Wax, Zing Fiberglass and Aluminum boat cleaner, seat pedestals, bilge and aerator pumps, boat plugs, misc. trailer parts and so much more! Come by and see us.